Isn’t This pretty? Simple and classic. 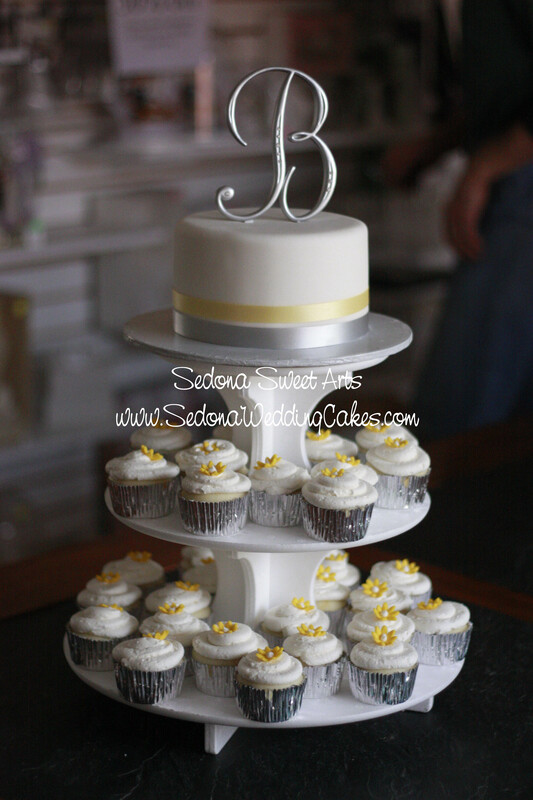 This Cupcake tower adorned with a single tier Fondant cake for the top. The simple butter cream topped cupcakes are adorned with a pastillage sugar daisy. How yummy and elegant! For more cake photos check out Sedona Sweet Arts and Sedona Wedding Cakes.